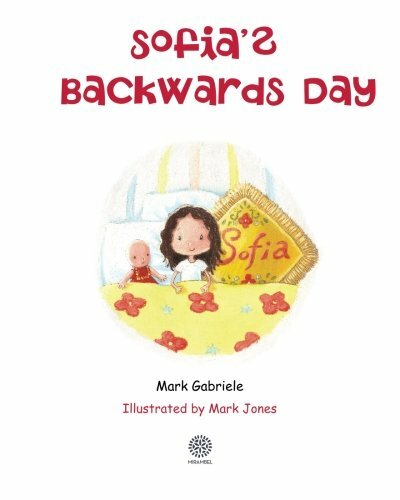 Sofia confuses everybody when she wakes up one morning and decides to live the entire day backwards, start to finish. Or should we say, finish to start? Ages 4 and up. Grades: Elementary. Sofia is a real child after whom the author named the central character of this story. Not long after turning 50, Mark Gabriele realized he&#x2019;d been writing books for kids for over 3 decades. He was 19 when he wrote the very first one for his youngest sister when she had her tonsils out. Since then, he&#x2019;s continued to write books for children who are special to him. He always makes each child the main character in their own story, and gives each the hand-made original as a gift. For as long as he's been at it, writing has always reflected his love for children.